As a charter customer of Talent Pipeline, PepsiCo was fortunate to be one of the first six companies on the planet to experience LinkedIn’s new product. So far, the recruiters have been raving about this tool and love using it. As with any new product install, there are best practices you should follow to get the strongest results for your recruiting team. Below are five tips that helped us get up and running fast so that our recruiters could easily adopt and leverage the system. Since Talent Pipeline allows you to add leads gathered in spreadsheets, folders and elsewhere to the LinkedIn Recruiter platform, teeing up this data in orderly fashion will allow for quick uploading. An old folder of resumes from a career fair, a campaign you did five years ago, that research list from an external third party… wherever it lives, make time in the week prior to launch to find and consolidate these items for upload into the system. Create folders on your hard drive with specific source names and potential tags and drop this information in for future upload. a. How is this different than LinkedIn Recruiter? b. Why do we need this product if we track all candidates in our ATS? c. Will we be out of compliance with EEOC if we track candidates in this system? d. What if someone is currently not on LinkedIn? LinkedIn now has best practice documentation and Frequently Asked Questions (FAQs) that help with answering the questions above. b. Assemble a small ad hoc team of power users that might help you build your source and tag list. for future upload that have the correct source and tag in the title. As you move prospects around using mass action updates in Talent Pipeline, you will sometimes need to select a folder name. Being able to pick it out of a drop down list of folders is necessary (you will thank me later if you implement this step). 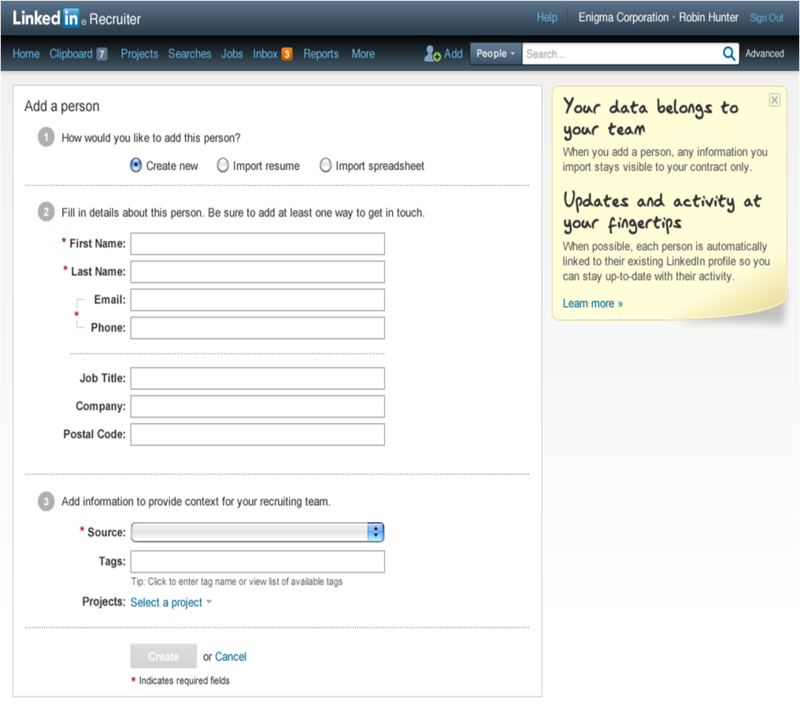 If you are a current LinkedIn Recruiter user, all of your folders will be there when you migrate to Talent Pipeline. Take this opportunity to do some folder renaming and organizing in advance of go-live. iii. Now add a note and switch them to the workflow step of “Contacting”. I then sent users through drills on uploading spreadsheets and associating leads with LinkedIn profiles. It has helped with adoption of new features and functionality. future user training. Check the LinkedIn customer newsletter or blogs for new ways to leverage the tool. I’m sure that you will enjoy using the product with its new features and functionality. If tags, sources and workflow are organized well, your data will remain in order and users will enjoy using the product. Happy hunting! What are your best practices for implementing Talent Pipeline? We invite you to share your tips here so others can learn from your success.